“And I saw, and behold, a pale horse: and he that sat upon him, his name was Death; and Hades followed with him. 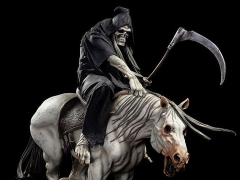 And there was given unto them authority over the fourth part of the earth, to kill with sword, and with famine, and with death, and by the wild beasts of the earth”. 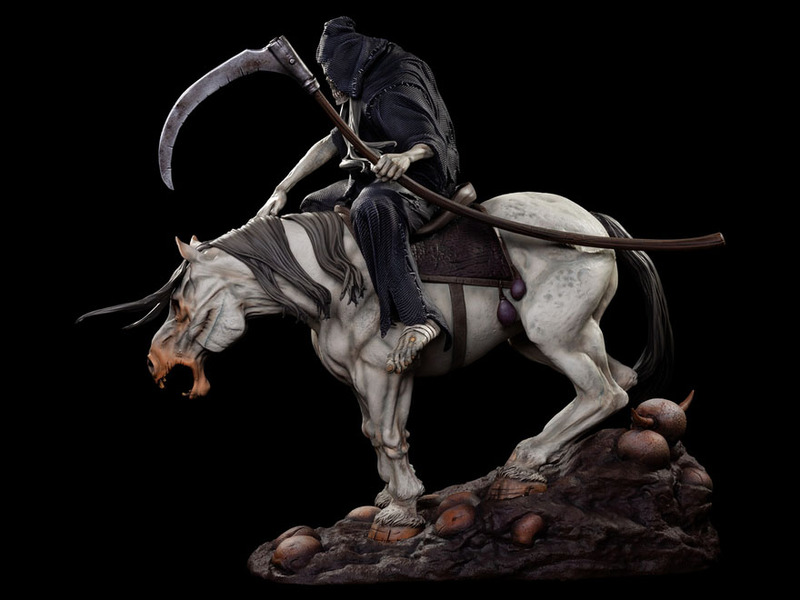 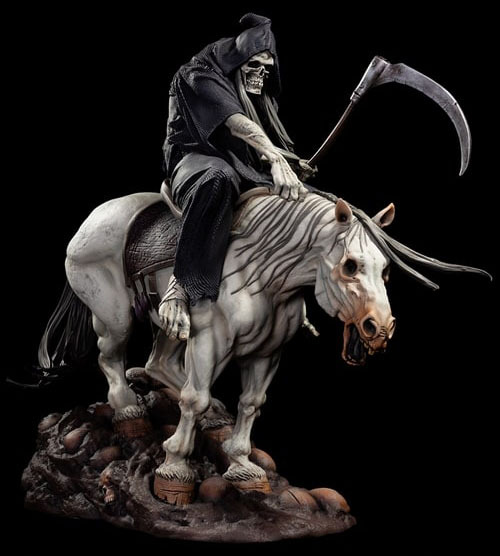 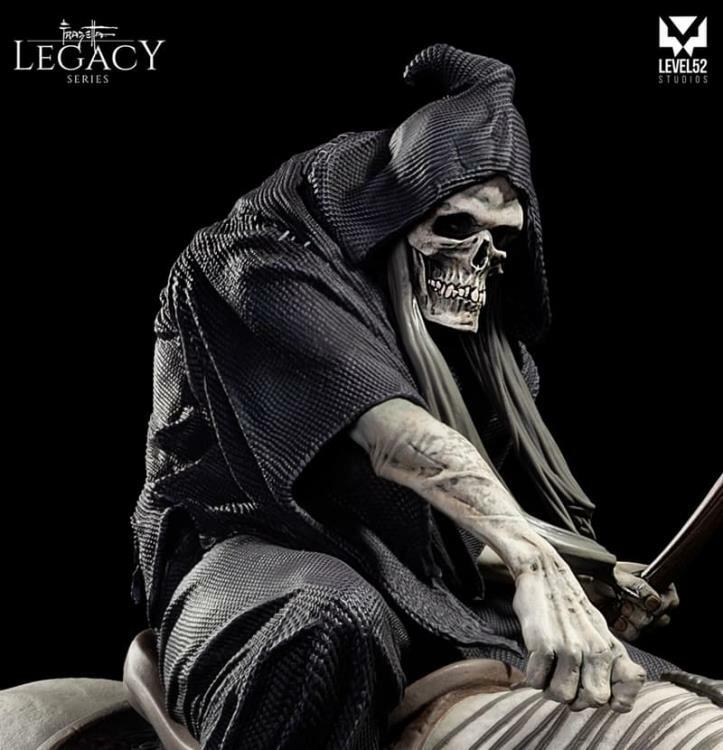 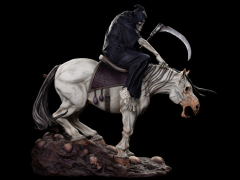 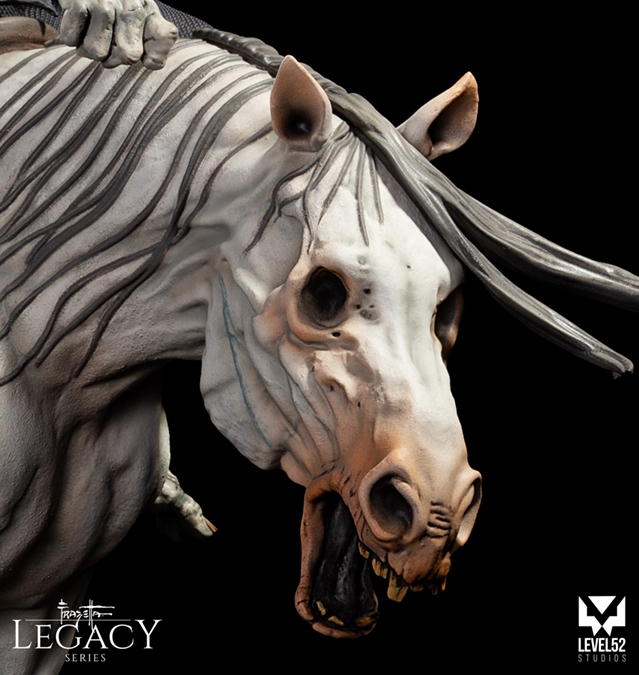 Level52 Studios is proud to present The Reaper, a new addition to the Frazetta Legacy Series. Sculpted by the talented Rhett Mason, painstakingly assembled and painted by Hanna Myers, this statue brings an iconic drawing by Frank Frazetta to life. 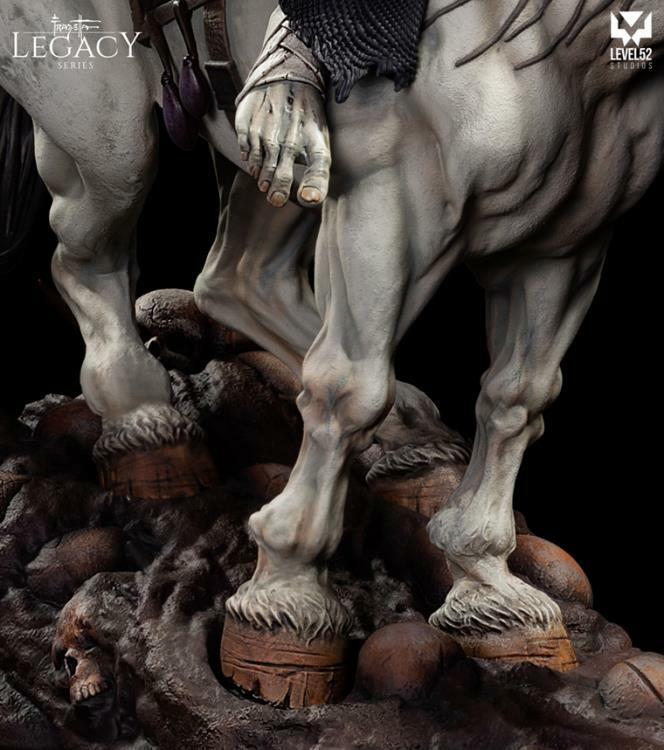 Designed in close association with The Frazetta Museum, the Level52 Studios team has breathed authentic color into this extraordinary statue.